LAMM has consolidated its international position thanks to a new and prestigious installation in France. 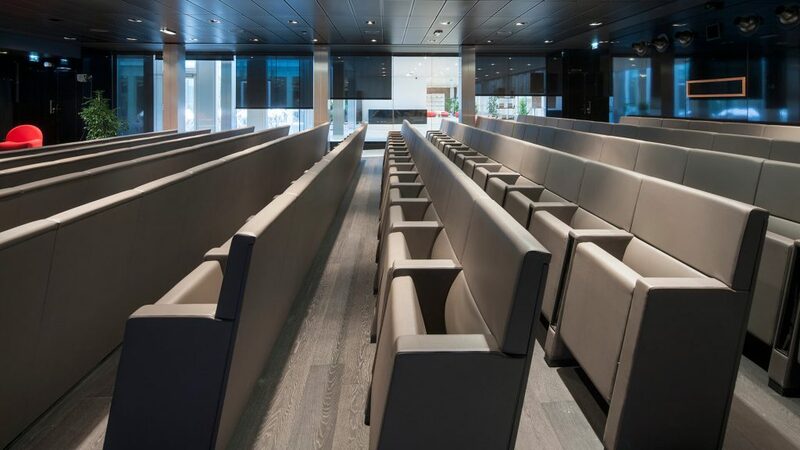 Alongside other major installations completed outside of Italy, this project confirms the company’s role as an indisputable international benchmark in advanced seating systems for the conference and education sectors and for public spaces. 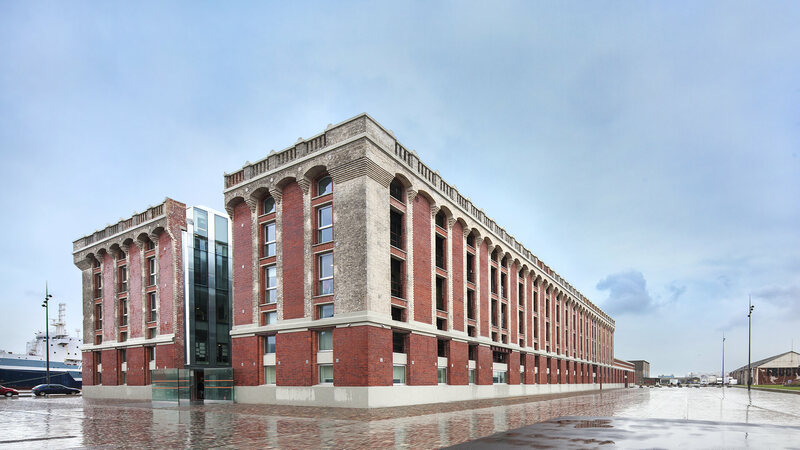 Located near to Pier 1, the cornerstone of the urban redevelopment work in the port city of Dunkirk, the Halle aux Sucres is an impressive storage building, completed long ago in 1898 by Jules Denfer. Having been abandoned since the ’90s, the complex has been renovated and recommissioned thanks to the work led by the Parisian architect Pierre Louis Faloci. Two arches have been removed by dry cutting the shorter side, accounting for about three quarters of the entire length of the building. A long access ramp has been built in the gap. The spectacular inclined promenade leads inside the complex, where you will find the Sustainable City Museum, a Learning Centre, a temporary exhibition space, the new headquarters of the Planning School, the city archives and the Municipal Town Planning Office. To complete this well-structured array of functions and to optimise the opportunities for using the building, Faloci’s project included the addition of an auditorium. To fit out this hall, the Parisian architect chose the L213 chair by Lamm, which stands out due to its linearity and compositional rhythm under the unusual black false ceiling. 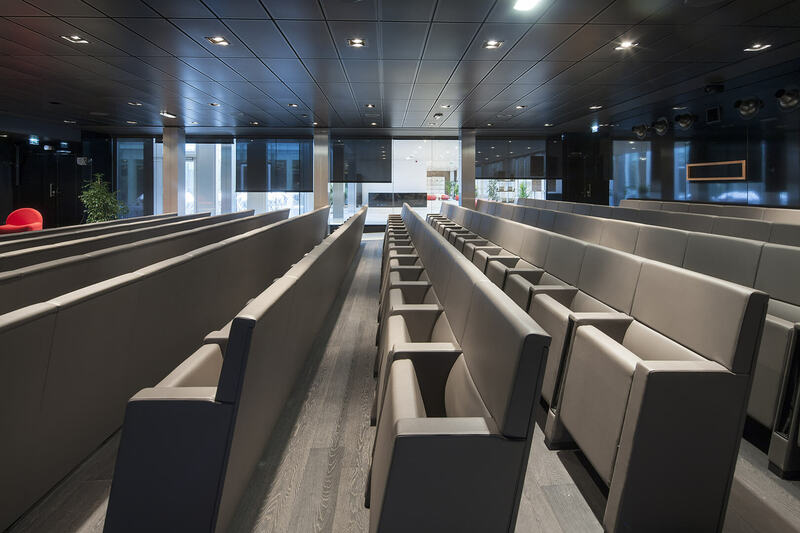 This seating system for conference halls, auditoriums and classrooms is characterised by the balance of its modules and by its extreme comfort. With this prestigious installation, LAMM has consolidated its presence in France, where it has recently finished other major projects, most notably: the Paris Descartes University, designed by the AZC studio, which included supplying two classrooms for a total of 370 E4000 study stations; the Jussieu University Campus, again in Paris, where the Architecture Studio decided to use 500 C100 chairs for the amphitheatre classroom; and the ESC Rennes School Of Business, designed by Conceptu’el, which was provided with 400 C100 chairs, while one of its classrooms was also fitted with rows of the E4000 study desk.